Here Am I Lord, Stretch Me! Paul… despite beatings, stonings, accusations, shipwrecks, keep preaching. God created us similar on the order of a rubber band. A rubber band is made to stretch. When it is not being stretched, it is small, relaxed and useless, and as long as it remains in that shape, it is not doing what it was made to do. When it is being stretched, it is enlarged; it becomes dynamic; full of potential, and it does what it was made to do. God created you to be stretched. Does that scare you? Sometimes those circumstances, responsibilities, challenges can be intimidating, because they force us to change… to be stretched. How is God growing and stretching you right now? Don’t hesitate to recognize and cooperate with what God is doing. Let’s allow God take us out of our comfort zone, growing us in ways we could have never imagined, finding strength we didn’t know we had, and encountering victories to be celebrated. Well, I have turned the page heading into a new chapter in my life; from pastoring a great church in beautiful Niagara Falls to directing a Doctor of Ministry program in Sunny Florida. It appears to be a big change for me, but should it be? This change has helped to remind me why I/we work in life. There is a purpose for all of us to be useful for God as we walk this planet. I hope you see your job or career as an extension of your faith as well. No matter where it is, regardless of location, salary level, blue/white color, or self-employment. No matter what it is (pastoring, teaching, plumbing, medical, mechanical, clerical, managerial, government, retail…). Can you see yourself as a minister of “Go“, being paid by your employer to do two things; be productive in your work, be a God-follower in your example. You may not have ordination papers, but you are ordained by God, to be a witness wherever God has placed you. As you pursue your work, be faithful, be ethical, be productive, but most of all be an example for His glory. In doing so, you transform your work into worship. During the dark days of the American Civil War, Henry W. Longfellow wrote the lyrics of ‘I heard the Bells on Christmas Day.’ With an honest reflection, he wrote, “For hate is strong and mocks the song, of peace on earth, good will to men.” His honesty can be an affront to our determination to see only the good this Christmas season, while trying to ignore the pain and evil. The news headlines are disparaging. The reality of tragedies, violence and hate among nations and neighbors hits home. And it is hard to know what to say to those enduring this season without their loved ones for the first time. 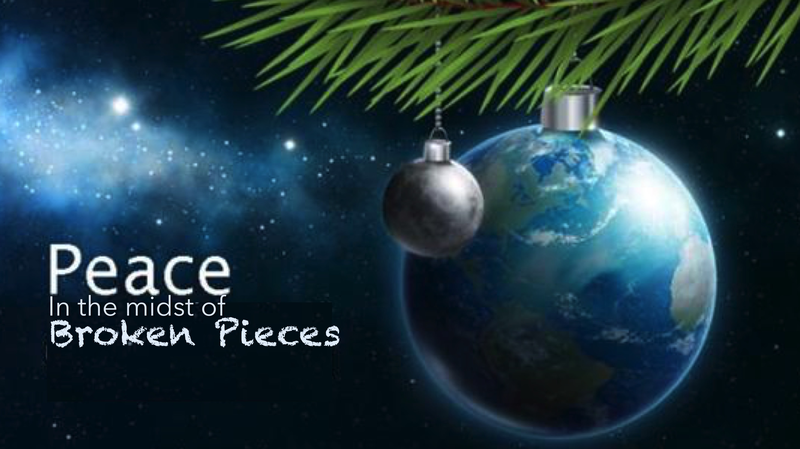 Yet despite all this, there is still a message ringing through the air: Peace On Earth. You see this is Good News that is not afraid of the dark. This is good news that is not negated by evil. This Good news is not intimidated by the worst the world could throw at anyone of us. Because over 2000 years ago, in the midst of the darkness, the Light has come! Longfellow was right. Tragedies constantly darken our lives, yet there is a light that pierces this darkness. If we see with our hearts, and not judge with our eyes or our minds, we can see it too. With great compassion, God saw the condition of earth and made provision for change. So despite the news and loss, peace is not only available, it is possible. Have a Merry & Peace-full Christmas! Scripture describes God in the beginning creating the universe out of nothing more than his creativity and his words… no raw material, no additional resource, no borrowed insights. The theologians called it “creatio ex nihilo”, creation out of nothing. I am encouraged to think that there is a God who doesn’t need to look around scraping up resources to make things work. Instead he just speaks a word. That also means that he doesn’t need “me”. But because he pursues me and cares for me, it suggests that he does it because he loves me. I am wondering if we limit God’s influence and miracles in our lives because we are still holding on to resources, perspectives or agendas we think He ought to use, forgetting that he creates “ex nihilo.” I hope we can just come before him with empty hands, humble hearts and a faith that is focused solely on him. In fact, it is okay if you are at the end of your wits and have no other options to rely on, that is the sort of stuff (or lack of stuff) with which God works. Leadership holds a bit of tension. On the one hand it demands that the leader be connected to those whom she is leading. It calls for an authentic and caring relationship with others. Without it, leadership loses confidence, and influence. On the other hand, the leader is called to be set apart from his followers. He is to be different, pioneering a vision of places, ideas, and opportunities where others have not yet focused their attention. The leader ought to reflect within their passion and character the benefits of their vision so as to inspire others to follow along. Two things that make or break a leader: character and competence. It is too easier to focus all our energy on our skills while faking our way through in our character. But people will give a leader a second chance much more easily if they fall short in competence than in character. You can lead for a while with great skill but if you don’t have character, people will turn their backs on you and cease to follow. A follower must trust a leader. No character, no trust. Logos: you have to be logical in your vision. Pathos: you should be passionate about your vision. Ethos: you must maintain that vision (regardless how logical or passionate it is) with ethics. I like what one mentor told me years ago about maintaining these virtues, “Be cutting edge without cutting corners”. That is our challenge. 2. Posture a Positive Presence. No follower will be inspired by a leader whose vision is tainted with negativity. In fact, eventual even optimistic followers will react negatively to this sort of vision. It becomes a deadly virus to vision and loyalty. 3. Be more Interested than Interesting. In other words, look not only to your own interest, but also the interest of others. Leadership will always be about relationships. You have to learn how to create, develop, and maintain healthy relationships. 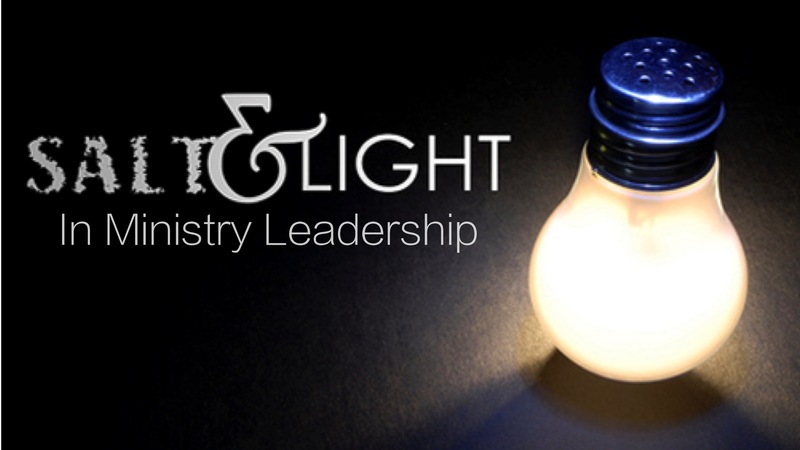 Paul presents Jesus as the greatest example of a leader when he describes Jesus by saying. “Let this mind be in you which was also in Christ Jesus…” within just a few strokes of the pen earlier, he gave this leadership characteristic, “Let each of you look not only to his own interests, but also to the interests of others.” (Philippians 2:4-5 ESV). In following Jesus example, what is even more important than being interesting, is being interested. People are attracted to excellence because they want to have more and be more excellent themselves. Be excellent in: your physical appearance, emotional health, intellectual growth, spiritual depth, relational continuity, charitable giving. We need as much salt and light as we can get to make a difference in our world, our ministry and our church, and the lives of those who will follow us. Give it your best. Give God your best. Transform your intimidating circumstances into a place where God is welcomed, because He intends to be found. My body seems to have a mind of its own… even when it comes to trying to bridle in its selfish and depraved desires. Those are not so humorous issues. Especially in these cases I need to remind myself who is really in charge here. So who’s the boss? It is not my body… nor is it me. I am owned by God. The eyes that once looked upon things that lacked purity should now be focused upon the sinless Son of God. The ears that once listened to deception should now be eager to hear the Word of God. The mind that distorted our thoughts and attitudes should now be yielded to the Spirit of God. The hands that once were swift to hold tightly to harmful habits should now be engaged in the Ministry of God. The tongue that once talked so carelessly should now be singing the Praises of God and declaring the Love of God. The heart that was set upon earthly passions should now be embracing the Desires of God.